Congenital ptosis comprises of a group of cases in which the ptosis is due to a developmental dystrophy of the levator muscle characterized by fibrosis and deficiency and striated muscle fibers. The ptosis may possibly be mild - in which the lid partially covers the pupil; or severe - in which the lid completely covers the pupil. higher position of the ptotic eyelid on downgaze. Children with significant ptosis may possibly need to tilt their head back into a chin-up position, lift their eyelid with a finger, or raise their eyebrows in an effort to see from under their drooping eyelid(s). The phenomena is thought to be due to a congenital misdirection of the fifth cranial nerve fibers into a branch of the third cranial nerve that supplies levator muscle. While the cause of Congenital ptosis is often unclear, the most common reason is improper development of the levator muscle. The levator muscle is the major muscle responsible for elevating the upper eyelid. Children with Congenital ptosis may possibly also have amblyopia ("lazy eye"), strabismus (eyes that are not suitably aligned or straight), refractive errors, astigmatism, or blurred vision. In adds to, drooping of the eyelid may possibly lead to in an undesired facial appearance. complete ophthalmic exam with particular attention to visual acuity. In a series of Congenital ptosis cases incidence of amblyopia was measured to be 20% of which 3% was attributable to droopy eyelid. In the past, the chin elevation posturing was considered a sign of fusion and, thus, indicating a low risk for amblyopia. However, it has recently been shown that the chin elevation does not rule out the presence of significant amblyopia. in a series of a 113 patients, 31% were found to have strabismus and of these, 3% of the cases were believed to be caused by ptosis that disrupted binocular fusion. because the superior rectus is often involved, full extraocular motion needs to be carefully evaluated. Physiologic defects such as jaw-winking ptosis may possibly require transection of the levator muscle as well as frontalis suspension. Because of the levator aponeurosis resection, children needs to be performed under general anesthesia, a formula is used to determine the amount of levator aponeurosis resection. In 1883 Marcus Gunn reported an unusual type of congenital ptosis with with a peculiar associated movement of the affected lid." Previous authors have reported Marcus-Gunn phenomena to occur in 2 to 13% of patients with "Congenital ptosis . The phenomena is thought to be due to a Congenital lmisdirection of the fifth cranial nerve fibers into a branch of the third cranial nerve that supplies levator muscle. Patients are classified according to the degree of two parameters:A 3 x 3 matrix is constructed which gives 9 combinations of ptosis (mild, moderate, severe), in jaw-winking (mild, moderate, severe). Different positions of the matrix correspond to one of several operations which are abdicated for the correction of this defect. Beard reported 76% of his patients with Marcus-Gunn syndrome had an associated weakness of the superior rectus. 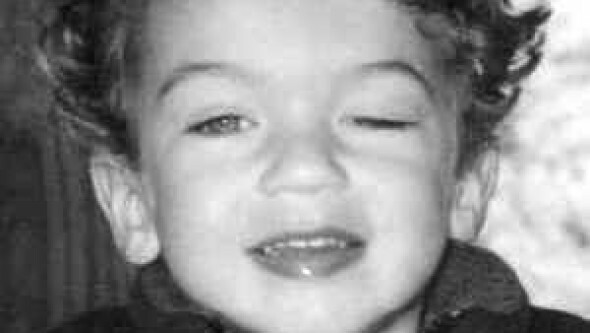 Incidence of amblyopia in patients with Marcus-Gunn jaw-winking ptosis is reported to be approximately 35%. In a study in 1984 of 64 patients with jaw- winking ptosis, 60% were found to have amblyopia, 60% were found to have strabismus and 25% were found to have anisometropia. Twenty-five percent were found to have a double elevator palsy. In general, if the visual axes are not obscured by the ptotic lid, it is best to defer treatment until the child is age 3 or 4. The surgical procedure is determined by the amount of levator function present and the severity of ptosis. Function is typically categorized as poor (less than 4 mm), fear (5 to 7 mm) and good (more than 8 mm). In cases of severe ptosis in less than 2 mm of levator function, suspension of the lid to frontalis muscle is the procedure of choice.Congenital Ptosis is treated surgically, with the specific operation based on the severity of the ptosis and the strength of the levator muscle.If the ptosis is not severe, surgery is generally performed when the child is between 3 and 5 years of age (the "pre-school" years).However, when the ptosis interferes with the child's vision, surgery is performed at an earlier age to allow proper visual development. Congenital ptosis is most often treated by ophthalmic plastic and reconstructive surgeons who specialize in disease and conditions affecting the eyelids, lacrimal (tear) system, the orbit (bone cavity around the eye), and adjacent facial structures.